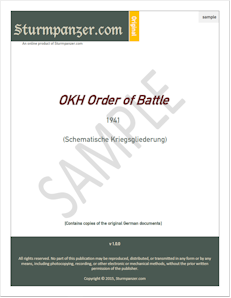 Order of Battle of the German Army, from Army Group down to Division. A Total of 98 pages that cover 49 different dates from 15 January to 25 February, 1941. Sturmpanzer.com is a resource for World War II German Army research.